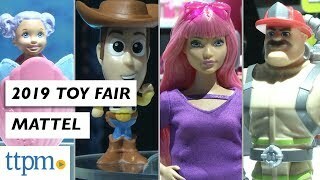 Get an exclusive, backstage look at Toy Fair New York 2019. We take you behind the scenes and into the closed showrooms that only retailers and select members of the media get to see. 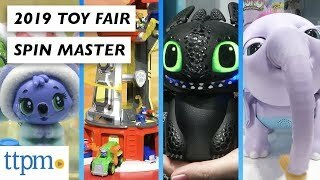 The TTPM team gives you the first look at toys making their debut and that manufacturers hope will be topping children's wish lists later this year. 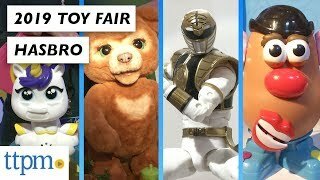 Since the toy industry is year-round, you can always see the newest toys we've reviewed, which are updated daily so even after the show, you can always be the first to know what's hot and hitting toy stores! In 1903, the first U.S. Toy Fair trade show took place in New York. American toy companies sought to establish themselves since at the time most of the manufactured toys came from Europe. In fact, Toy Fair was set up so that U.S. toymakers could meet with buyers before—and after—their European trips. Because of this, for many years, Toy Fair lasted a very long time, and it's only in recent years that it's come down to four days. In the ensuing years, U.S. toys became much more sophisticated. Classics like Tinkertoy, Erector Sets and Lionel Trains, which are still sold today, made their debut in some of the earliest Toy Fairs. In 1916, the Toy Manufacturers of America was established as the industry began to become more organized, and the following year, the first New York toy companies moved into the Fifth Avenue Building, which is still at 23rd Street and Fifth Avenue in New York. Renamed The Toy Center, the building would be the home to showrooms and the main location for Toy Fair for the next 92 years. In 1987, Toy Fair also moved into New York's Javits Center, and in 2000 it would expand to fill the massive building. 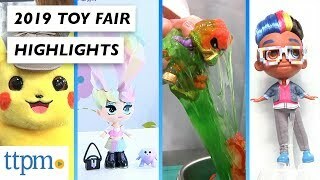 Toy Fair has been run every year since 1903, with the exception of 1945 during World War II, Toy Fair was cancelled after a request by the War Mobilization Office. Accounts vary as to why this happened, but by the beginning of 1945, the tide of the war had turned, certainly after the Allied victory at the Battle of the Bulge, and Toy Fair was cancelled as the government prepared to bring home soldiers, requisitioning hotels and other spaces. In the early years of Toy Fair, the dates often changed. Into the 1930s, it was as late as April or May, but as manufacturers needed more lead time from when they got orders to when they could deliver the finished toys, but it wasn't until the 1970s that the mid-February timeframe was established. Today, there are more than 1,600 exhibitors covering 415,000 feet of exhibit space. More than 30,000 visitors come from more than 60 countries around the world to find the what's new, what's hot and what they hope kids will be clamoring for later in the year. But unless you're in the business, you can't get in. So be sure to check in with us at TTPM because we'll give you an all-access backstage pass to the biggest toy trade show in the Western Hemisphere!